From my upcoming Through The Infirmary documentary project. This was a great project I worked on in Laos last year. The kids learned filmmaking skills, had a good time, and got to go to the capital (most had never been there). The twelve hour bus ride was a bit of an ordeal, but it was worth it. Conceived, written and produced by the students of Lone Buffalo, the short film ‘Haam Jap’ is a Public Awareness Video designed to alert children in Laos (and worldwide) of the continued danger of Unexploded Ordnance. The film was shown at the 2015 Vientianale International Film Festival. The students wrote three scenarios in which bombies can maim or kill. They used props available in the classroom and local market to produce special effects, and shot the film on location in and around Phonsavan. Film Director Teng Vue Fai Dang (18) said he wanted to create a film that would remind both children and adults that bombies are sadly both metaphorically and physically “in our roots” and will pose a danger for many years to come, especially in Xieng Khouang, the world’s most heavily bombed province. The only shots not taken by the students were of the defused munitions, since it was deemed inappropriate for them to be near or handle actual UXO, even though it was all FFE (Free From Explosives). The film was Executively Directed by Jon Witsell and James Thomas. This film was produced for and funded by the US State Department. Lone Buffalo is an free English Language project in Phonsavan, North East Laos. The students who produced this film live in Xieng Khouang Province. 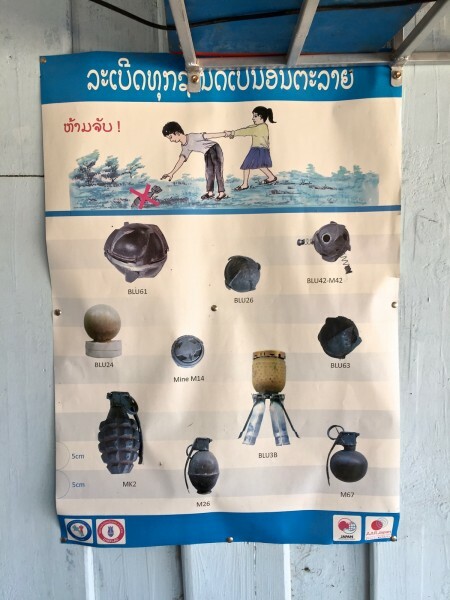 This is a poster that is at the Phonsavan, Laos, office of UXO-Lao, the national demining organization. As you might expect, more boys than girls are maimed/killed by the Vietnam-era unexploded ordnance left over from the Secret War, in which the United States played a major role (those are all munitions manufactured/deployed by the United States pictured in the poster). The red text in the upper left states Haam Jap! (roughly translated: Don’t Touch!). I’ll have a follow up post about a very cool film project done with the Lone Buffalo school’s students soon. Stay tuned! In Laos, as in most of Asia, one takes off their shoes before entering a building. This is a great practice, keeping the inside of buildings much cleaner. 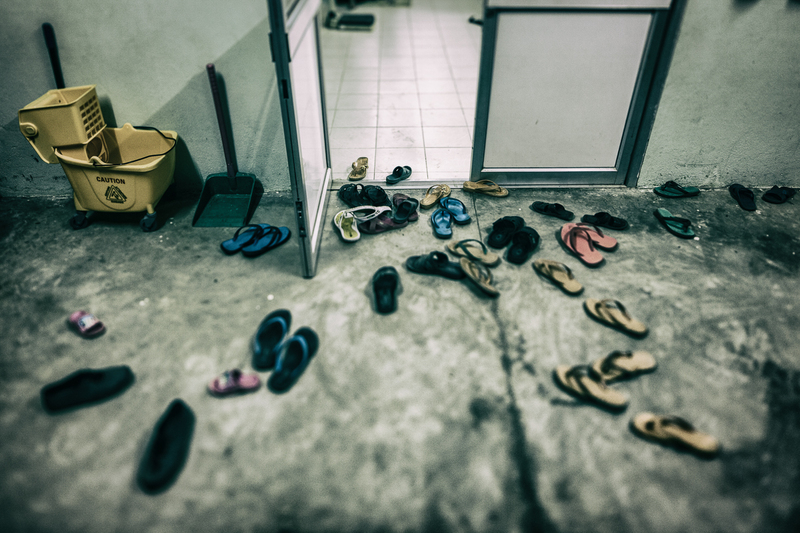 However, it can lead to a bit of chaos right at the doorway… click to enlarge. 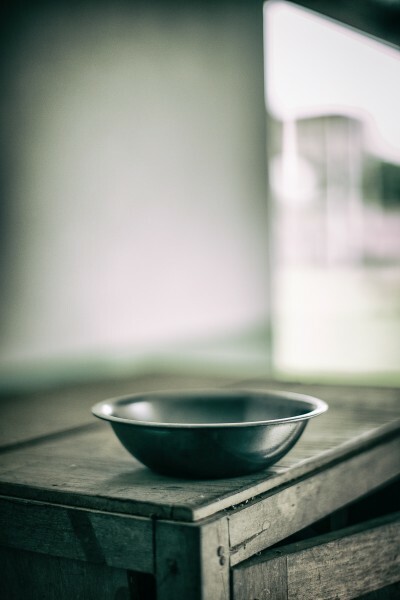 I love the way the back rim of this bowl starts to blend into the background. I’m not sure what this particular bowl is used for, but I’ve seen them all through the hospital. 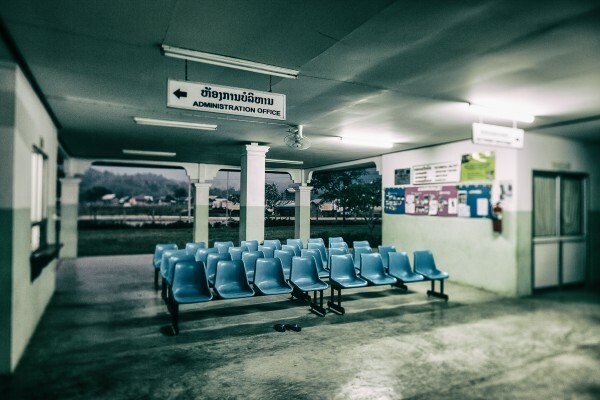 One, holding bloody surgical instruments after a surgery; another holding water used to wipe the face of a woman in labor; and another, in a remote health center, again holding surgical instruments—instruments doused with alcohol and set afire to sterilize them. Such a simple item, so many uses, polished by so many hands. This is the second post in my series Beauty In Simple Things. Take a look at the first post in the series here.